Finding beauty in a simple design solution. 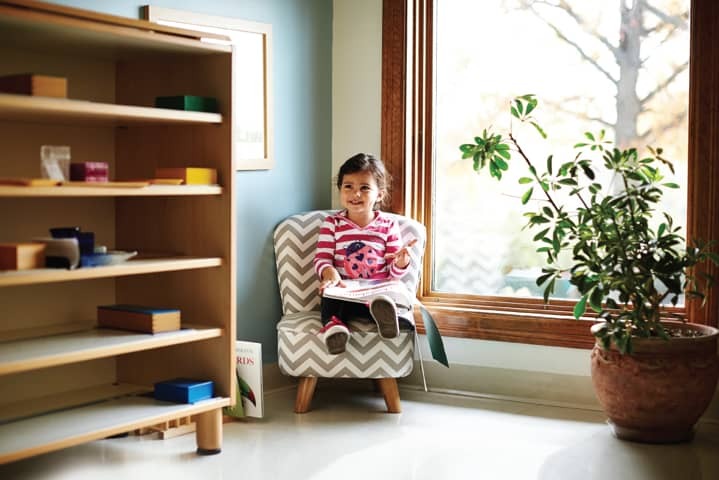 Design an entirely new brand and visual voice to help tell the Montessori story of excellence in education – a unique environment centered on exploration, discovery, and creativity. 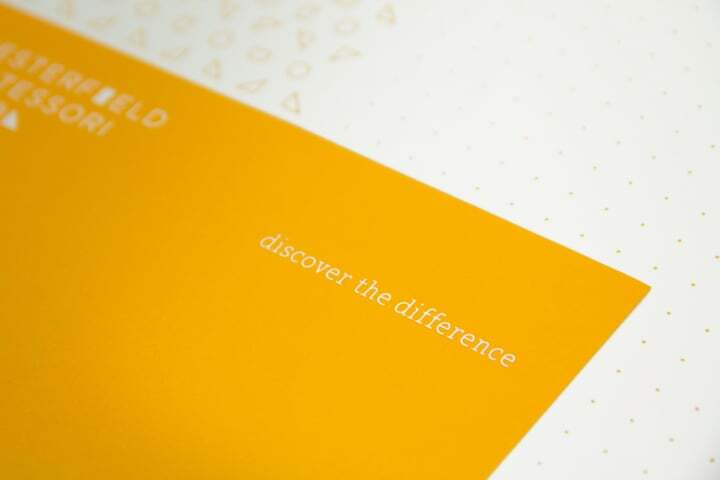 Working closely with the passionate Montessori, we created a more cohesive brand experience across every phase of their communication materials – beginning with brand positioning. 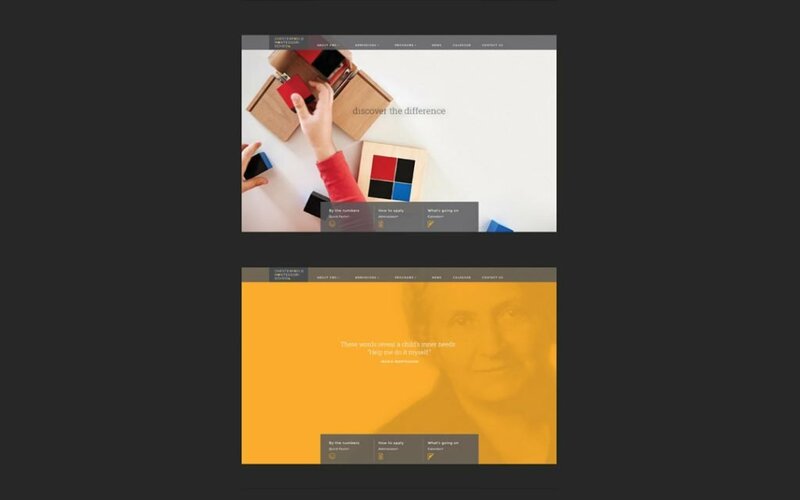 Why the Montessori approach is so unique was initially expressed through a new logo, tagline – Discover the Difference – and a new comprehensive website. Extensive on-site photography was produced to help visualize the open, bright and colorful learning environment. 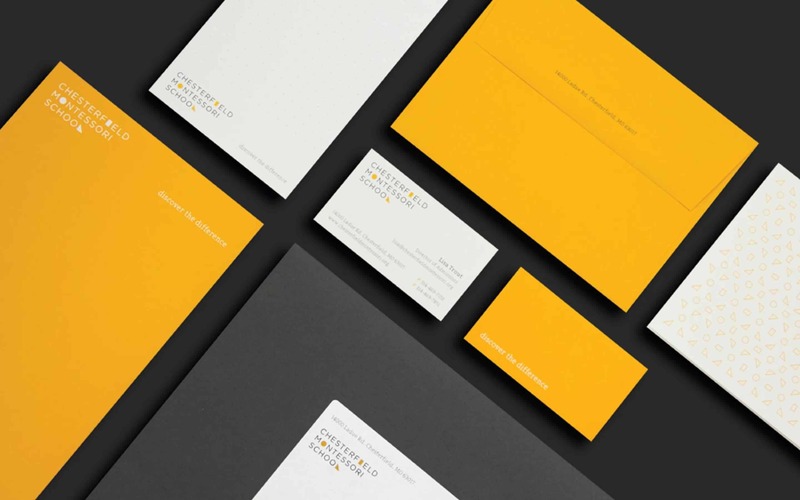 We began with basic shapes, clean typography, and a limited color palette, and assembled them into a unique visual brand voice. The identity incorporates simple geometric shapes, a familiar element used in interactive learning and building of ideas and solutions. Understanding how the “pieces fit together” is key to the learning process. 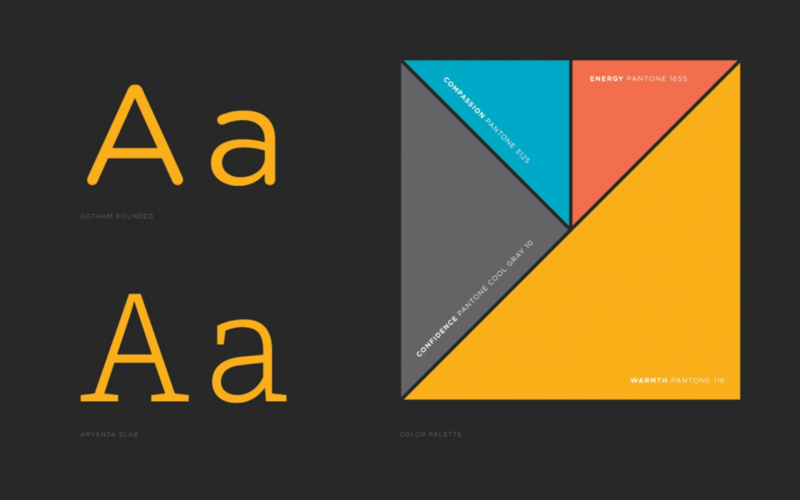 These geographic shapes are incorporated as letterforms in the brand identity, as well as the website and all communication materials. 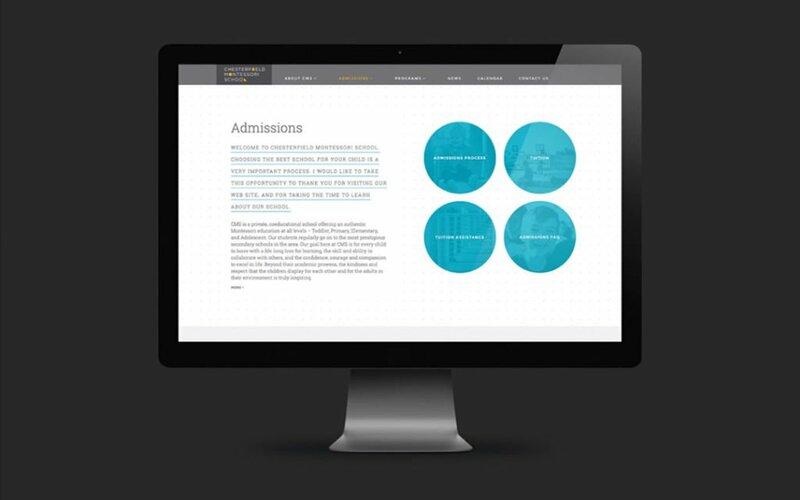 The website represents the integrated and cohesive brand experience. 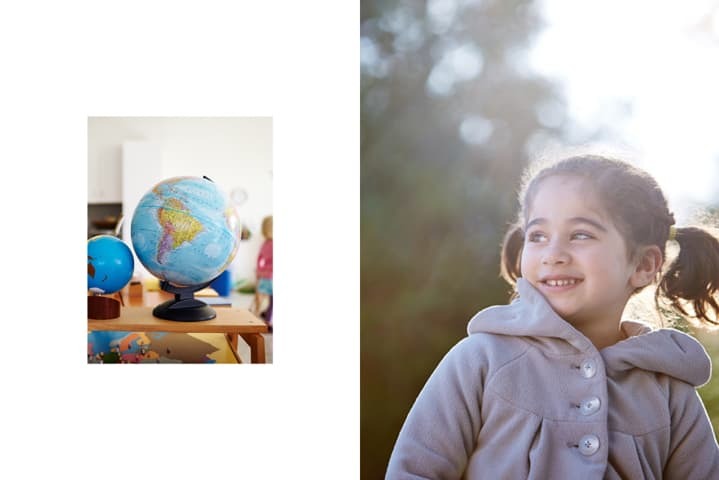 The new identity and brand assets – photography, color, type and icons, is presented in an easy-to-navigate, open and clean design that parallels the learning environment enjoyed by the students. 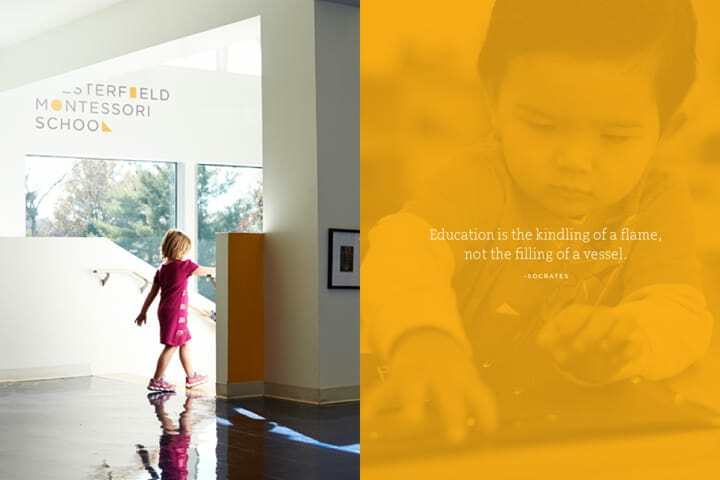 The new brand and visual voice accurately represents the sophisticated, thoughtful and uniquely creative environment and learning process that Chesterfield Montessori School has designed for its students.